Puerto Cortés, Honduras, is the only deep water port in Central America, and one of the region's largest and best equipped ports. 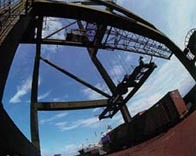 It has 24 hour service, with modern roll-on and roll-off and containerized facilities. The port's sophisticated container handling equipment ensures efficiency and competitive shipping costs to the US. Largest docking space 4000 ft.
Capacity 10 vessels, 30,000 DWTS. 48 hours by sea to Miami. Three other ports on the Caribbean (Tela, La Ceiba, Puerto Castillo) and one on the Pacific (Amapala) provide ocean access to markets worldwide. Honduras has a modern communications infrastructure that provides outstanding support to international business. Modern telecommunications systems allow reliable telephone and FAX. Many Internet Providers offer high quality broadband connections allowing low cost networking and voice communications world wide. Four international airports serve the capital Tegucigalpa, the commercial center San Pedro Sula, the coastal city of La Ceiba and the island of Roatan. Passenger and air freight services are reliable and efficient, with daily connections to Miami, Houston and New Orleans (Two hours). Texaco operates a 14,000 b/d refinery at Puerto Cortés, and the Venezuelan government is studying the construction of a new refinery in Puerto Castilla, which would process Venezuelan crude for both Honduras and the regional market. 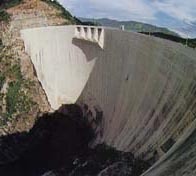 Honduras has developed its hydroelectric potential through the El Cajón hydroelectric dam (292 mega watt) and the Rio Lindo/Yojoa system (285 mega watt) to reduce its dependence on oil imports. Honduras is now self sufficient in electricity and had some excess capacity for exports to nearby countries. However demand has grown much more rapidly than earlier projections expected (12% or 60 mega watt over the last year). A group of EPZ owners formed a consortium called Honduras Electric Corporation to increase generating capacity through the construction of a thermal power station on the north coast. Honduras is the only country in the region that is self sufficient in energy and not dependent on large quantities of imported oil to generate electricity. This is an important advantage of manufacturing in Honduras.